Whole flax seeds have a shiny, hard outer coating that can make it difficult for your body to break down. The starch and nutrients in whole flax seeds are less available when the seeds are eaten unsoaked -- in some cases, the seeds can pass whole through the body. 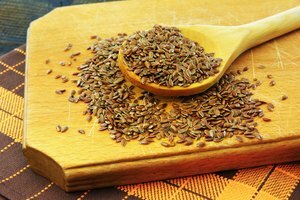 In other instances, such as when flax is used as an egg substitute, soaking is needed to take advantage of the seeds’ fiber content. 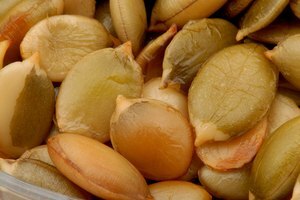 The gum, or soluble fiber on the exterior of the seed is softened during even short periods of soaking. In addition to softening the seeds, the soaking process removes substances such as phytic acid and tannins that are hard on your digestive system. Soaking seeds can make some nutrients, such as protein, more available and the seeds easier to digest in general. To soak, cover the flax seeds with at least 1 inch of water and cover the bowl with plastic wrap or a lid and let sit. Soak whole flax seeds for as little as 10 minutes or for as long as overnight. The cooler the water is, the more time the seeds need to be soaked. For water that is around room temperature, 70 degrees Fahrenheit, soak for a minimum of 2 hours and a maximum of 4 hours. In warm water, soak for at least 10 minutes, up to 30 minutes. Use the soaking liquid for cooking or baking to take full advantage of the nutritional and health benefits of flax. Soaked flax seeds can be used the same way as unsoaked flax seeds. 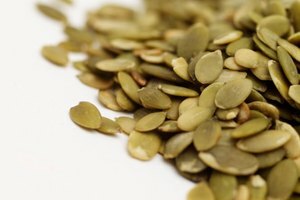 Sprinkle the soaked seeds over top of baked goods, into salads, soups or stews, or add them to smoothies for a quick, nutritious boost to a meal or dish. You can store soaked, drained, unused flax seeds in an air-tight container in the fridge for five days. If you are using flax seeds as an egg replacement, you must use soaked seeds, as the softened soluble fiber around the hull is needed to mimic egg’s natural viscosity. Purchase whole flax seeds in health food stores, grocery stores and bulk food stores. 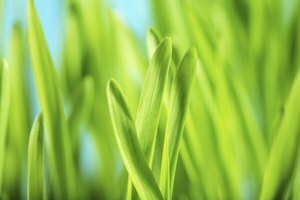 If possible, choose flax seeds that have been packaged in an air-tight, opaque container. 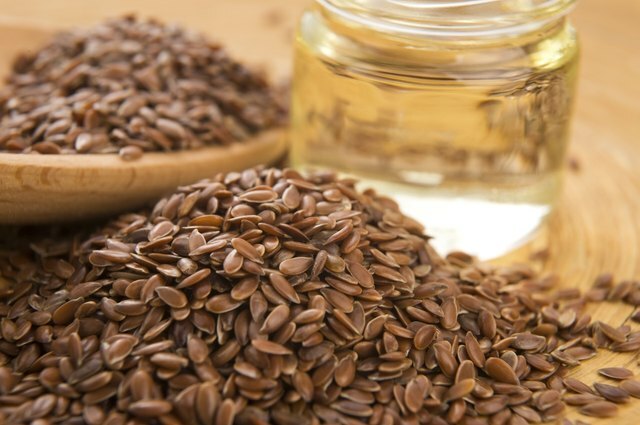 While whole flax seeds can stay fresh for up to one year, their high oil content means they can go rancid after a time. Look for shiny, unbroken seeds. You can use either golden yellow or dark brown flax seeds for soaking. The Kitchn: Egg Substitues in Baking? Try Flax Seed!